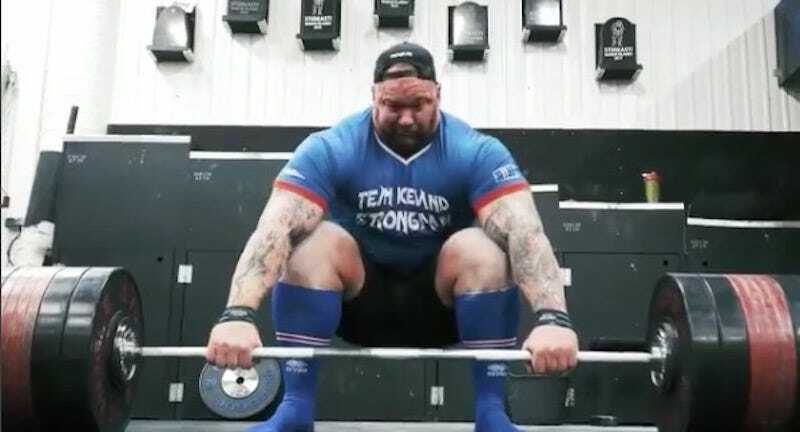 When we last checked in with strong man and Game of Thrones star Hafþór Björnsson, he was bent out of shape about possibly being screwed out of the World’s Strongest Man title. That loss only seems to have fueled his quest to become even larger and more powerful, because now he can deadlift 1,000 pounds. Just a man in silent, solitary struggle against a large stone. Gives you a lot to think about.